My birthday is in a week .... MY 29TH BIRTHDAY!! I'm going to freak out. 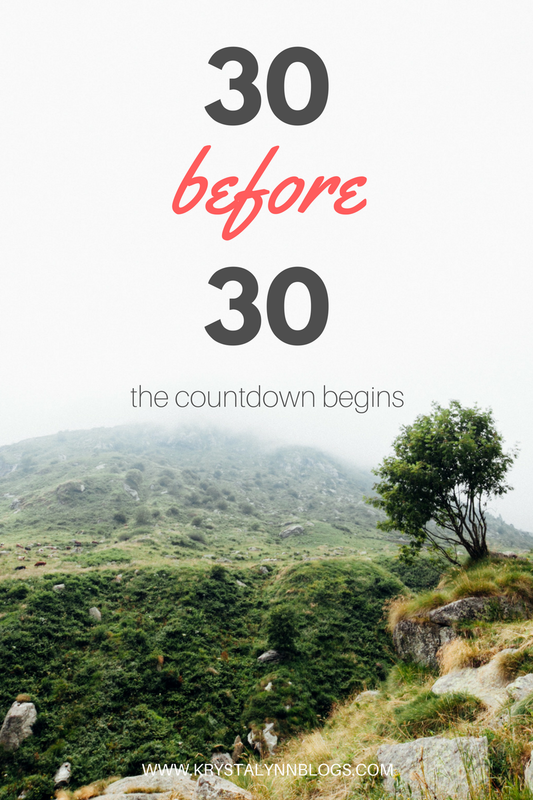 The idea of turning 30 soon is scary to me. Especially when I see how much more successful other people are that are so much younger than I am. I think my worst quality is always comparing myself to others. I need to be comfortable with where I'm at in my life. My journey isn't the same as anyone else's. I also shouldn't feel "unsuccessful" because I've actually done quite well for myself. I have an Honors Bachelor of Arts degree from a good university, a Certificate from another good university, a full time job, 4 pets (no Mom, I did not get another cat .. I'm including the fish), a house, no debt besides said house - I'm doing great! Even though I'm becoming more confident in where I am in my life, there's still some things I would love to do/experience before turning the big 3-0 next year.